ROME (CNS) — Archbishop Carlo Maria Vigano, the former nuncio to the United States who called on Pope Francis to resign for allegedly lifting sanctions placed on Archbishop Theodore E. McCarrick, now says those “sanctions” were “private” and neither he nor now-retired Pope Benedict XVI ever was able to enforce them. Archbishop Vigano said that in November 2011 he was sent as nuncio to the United States with specific information about the sanctions from Cardinal Marc Ouellet, prefect of the Congregation for Bishops. The cardinal has not responded to a Catholic News Service request for an interview. In a Register blog post Aug. 31, the author of the original story, Edward Pentin, provided more information from his source, saying the retired pope is now “unable to remember very well” how the supposed sanctions were handled. 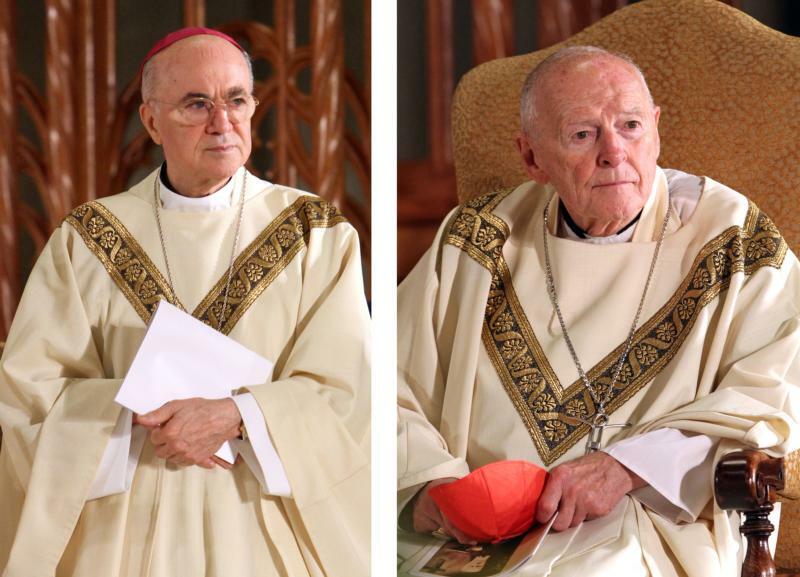 “As far as [Pope] Benedict could recall, the source said the instruction was essentially that [then-Cardinal] McCarrick should keep a ‘low profile.’ There was ‘no formal decree, just a private request,'” Pentin wrote. With all due respect, this doesn’t address the question of whether or not the Holy Father was aware of any sanctions on Arch. McCarrick, regardless of the nature of the sanctions.